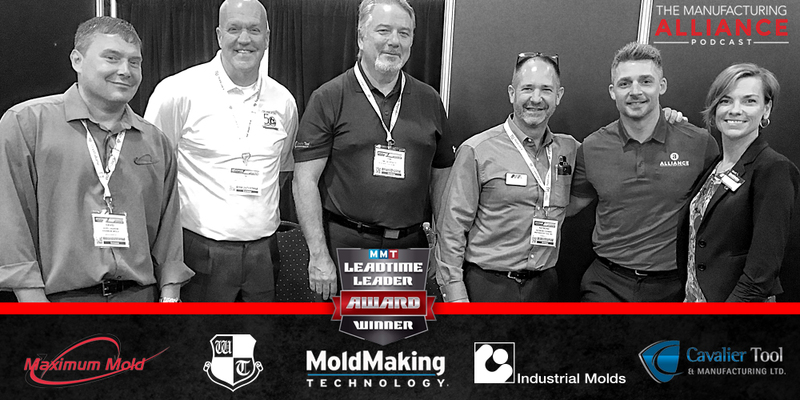 Live from Amerimold 2018 event we were invited to take part in the Leadtime Leader panel feature past winners from Westminster Tool, Industrial Mold, Cavalier Tool, and this years winner Maximum Mold Group. We discussed the what the award meant to them and their team. How the process allows you to actually know what you are. What you can gain from losing, and so much more. This group is top notch and there is a ton of knowledge to gain here. If you liked the show, please subscribe via iTunes or if you would prefer, keep checking back here for new shows. Thanks for listening.